We just got the most fantastic new book that I can not wait to tell you all about. It's called Old Tracks New Tricks and it's written by Jessica Petersen, who you might know from the fabulous blog Play Trains. Old Tracks New Tricks (buy from Amazon US / Amazon UK) is such a unique book, perfect for any train loving child. It's a story about how some new train tracks shake things up when they're brought home to a train set that's a bit set in its ways. The story itself is lovely and creative, but my favourite part is the suggested activities at the back of the book. My children were already inspired as we were reading the story, they started getting our train tracks out and sorting them into piles then building along with the story. 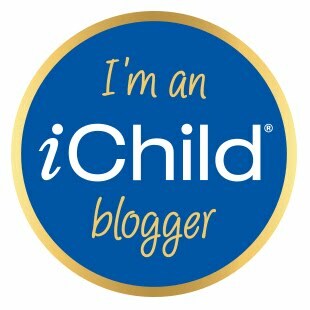 So by the end we were ready to play and there are just so many ideas there that we didn't know where to start. 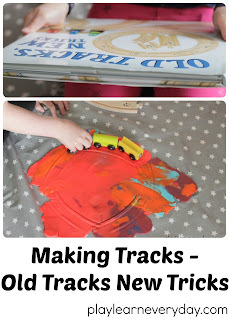 We tried out a few of the suggested activities, dominoes with tracks is a lot of fun and doing track rubbings too. Then the kids started thinking of their own creative ways to play with tracks, and that's where things got really interesting. We don't have a huge set of train tracks, but what we do have is a lot of play dough! So we decided to roll out our play dough and make our own tracks. We carefully pressed our tracks into the dough and followed it all around to make a round track. Then we were really able to drive our trains along our play dough tracks. The trains actually stay in the grooves of the play dough and can be pushed around! This just opens up a world of possibilities of the tracks that you could make with just a couple of wooden tracks. 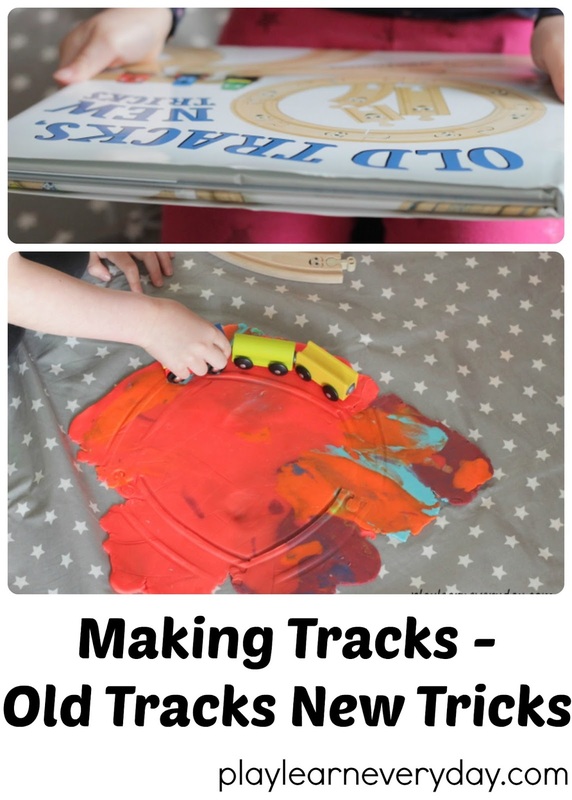 You could even take some play dough and just one curved track and a few trains with you when you go on holiday or to relatives house and set up and easy track.